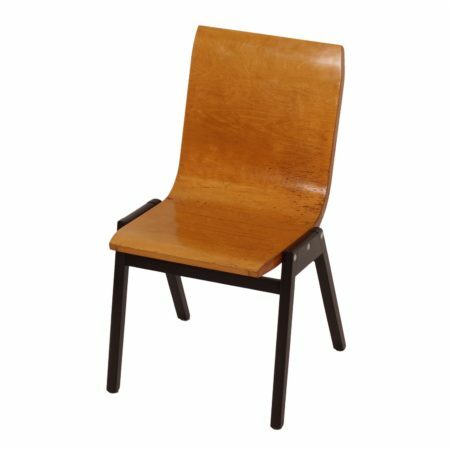 Beech dining room chair designed by the Austrian architect Roland Rainer for the Vienna City Hall in 1952. This vintage chair is made of beech wood and bent plywood. Normal traces of use. This chair is been cleaned and the legs are again painted black.